Mr. Finn also worked for P.T. Barnum at his museum in New York City. 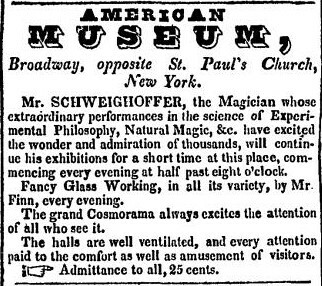 This ad is from 1835.